Kerry Neyland | Lifestyle Financial Advisors, Inc.
Kerry Neyland started his career in the financial services industry with a well-known mutual fund company in 1993 while attending the University of Houston. 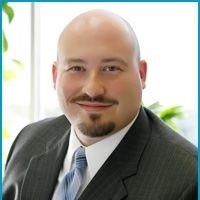 He joined Laura A. Nagle & Associates in 2004 as the sales assistant and office manager. He then merged with Lifestyle Financial Advisors in 2016. He holds a Series 6, 7, 26, and 63 securities licenses and is an insurance agent for the state of Texas. Kerry is a Houston native and currently resides in Clear Lake with his wife Jean of 14 years. They have three children, Jackson, Cooper and Parker. Kerry spends his weekends coaching in the FFPS soccer league, leading his son’s Cub Scout den, and attending his daughter Parker’s dance recitals. Every summer Kerry looks forward to spending quality family time around the pool and the family vacation to Disney World.